"We're so excited to get the chance to talk with you guys and to show off some of our latest garden-themed projects firsthand." It's that time of year again, and Dunn DIY is hosting a booth at the Northwest Flower and Garden Show for the third year running! We're so excited to get the chance to talk with you guys and to show off some of our latest garden-themed projects firsthand (not to mention we'll be giving a sneak preview of some upcoming projects). Here, we've compiled a list of some of the projects featured in our booth (the ones that have been posted already). Click through to see the complete tutorials. We hope to see you at the show! Buy your tickets here, and come visit the Dunn DIY team February 22-26, 2017 at the Washington State Convention Center. We'll be in booth #707—located in the South Hall. 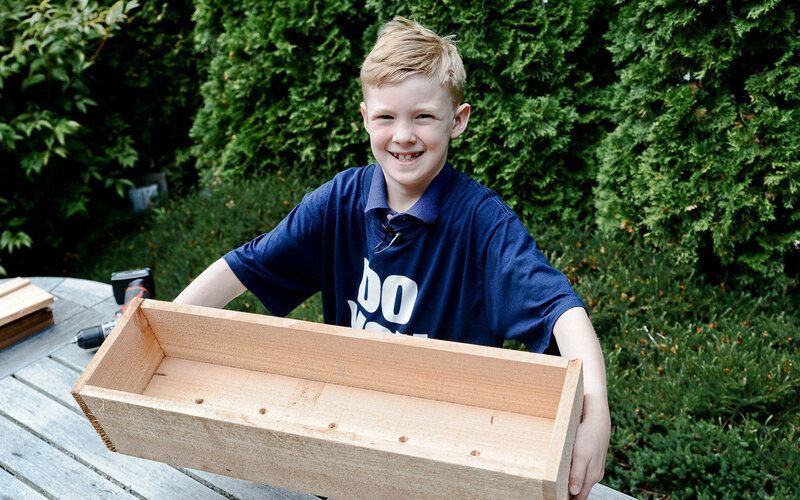 Juniper is a go-to gardening wood. Because it’s very naturally rot- and bug-resistant, juniper does well in contact with dirt. 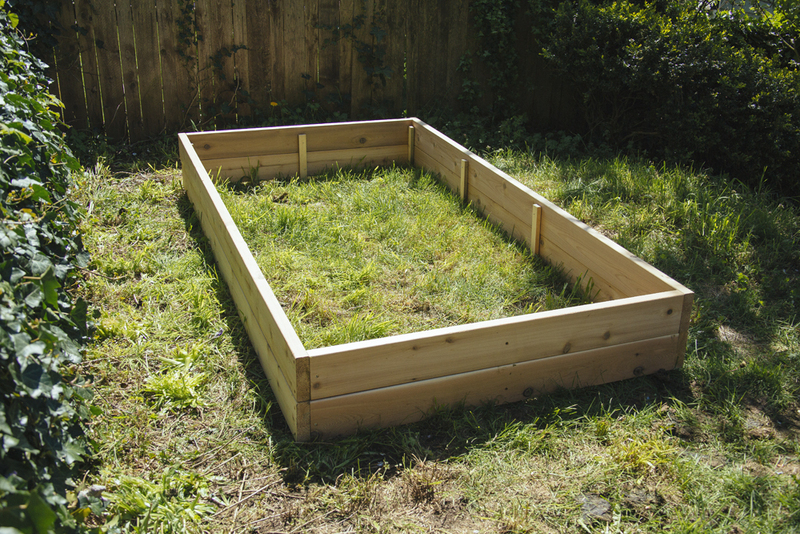 If you’re going to put veggies in the planter and you're concerned about them growing near treated lumber, a wood like juniper is a great alternative. We used big 6” x 6” timbers. Dunn Lumber carries rustic Juniper landscape timbers. "Rustic" means the wood is neither smooth nor are all the edges perfect; instead—the timbers are cut into rough dimensions. That’s fun for a project like this. It’s big timber anyway, and the rough cut looks at home in an outdoor setting. I’m not sure there’s anything better than needing an ingredient for a recipe while you’re cooking, and being able to walk outside and pluck it fresh from the vine or the stalk. It might seem kind of intimidating, but growing fresh vegetables in your garden isn’t really that hard at all. 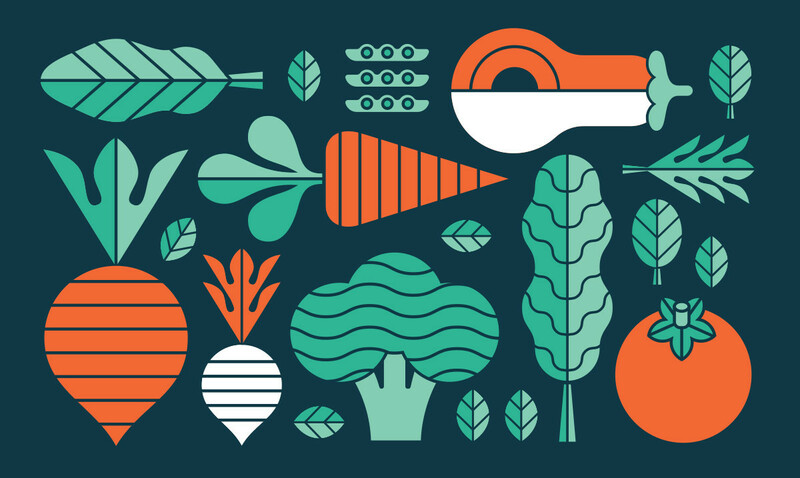 In fact, if you play your cards right, you can have fresh veggies growing year-round. Because of the fairly mild winters and pretty short summers we get here in the Northwest, a lot of the vegetables that would die in other climate's extreme heat or extreme cold can thrive here. A trellis is a structure used to give structure to a plant that needs that structure. There’s the trellises that are used for holding up something like a top-heavy tomato plant that can’t support its own weight. 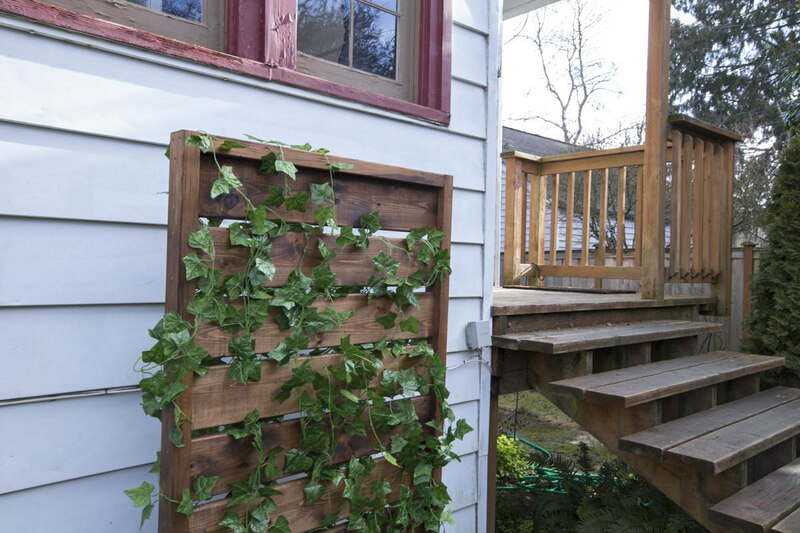 Then there are trellises that are used for growing a vine that you don't want attached to the side of your house. This trellis fits more into that category. This idea came from a Williams Sonoma® photo my mom emailed me a few months ago. 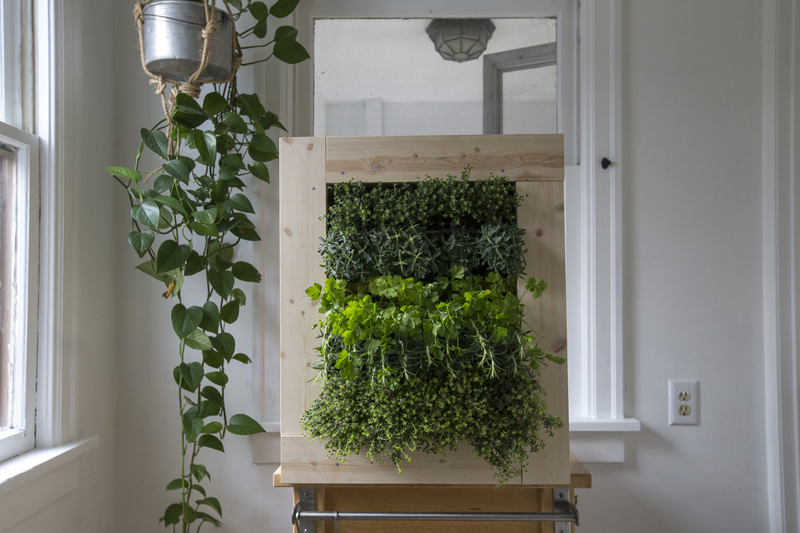 I’d seen a lot of these wall planters around with succulents in them, but theirs was the first I’d seen with herbs. I like that it’s decorative and beautiful, but it also has a function. I always think the things in your home should be beautiful, but beauty is pretty pointless if none of it is functional. Having something like this is like having your own little garden hanging on your wall. How great is that? In our temperate Seattle weather, strawberries are a great plant to start in the winter as a bare-root plant that will come alive in spring. You can also wait to plant until late spring when the weather has warmed up to accommodate growing. 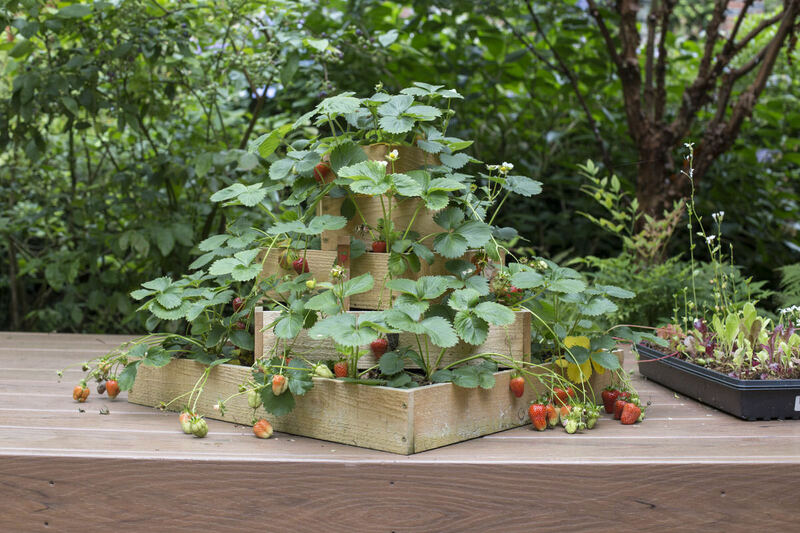 This strawberry planter is a great way to start a small crop of berries without taking up too much space. Sit back and relax while your kids enjoy a sandy beach in your backyard! 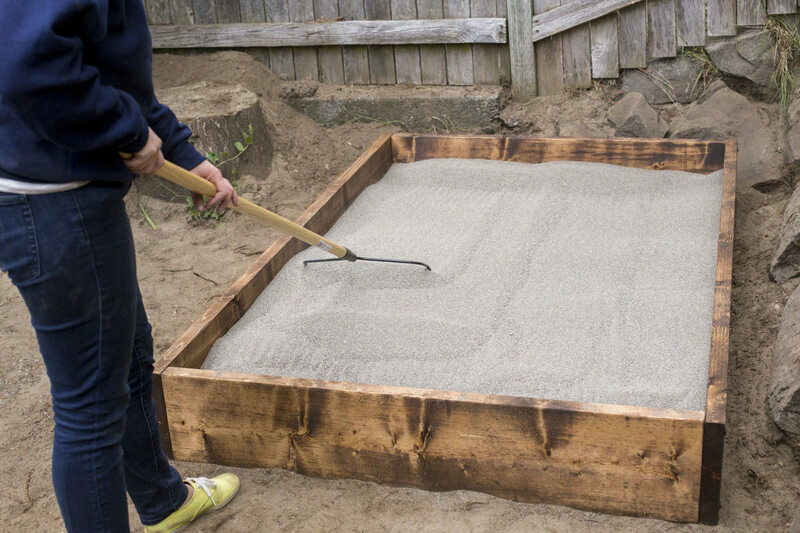 This simple DIY sandbox project is a great way to get your kids ready for spring. If you love the look of raw wood, cedar is a wonderful option because it's naturally rot-resistant and has a beautiful, classic look to it. 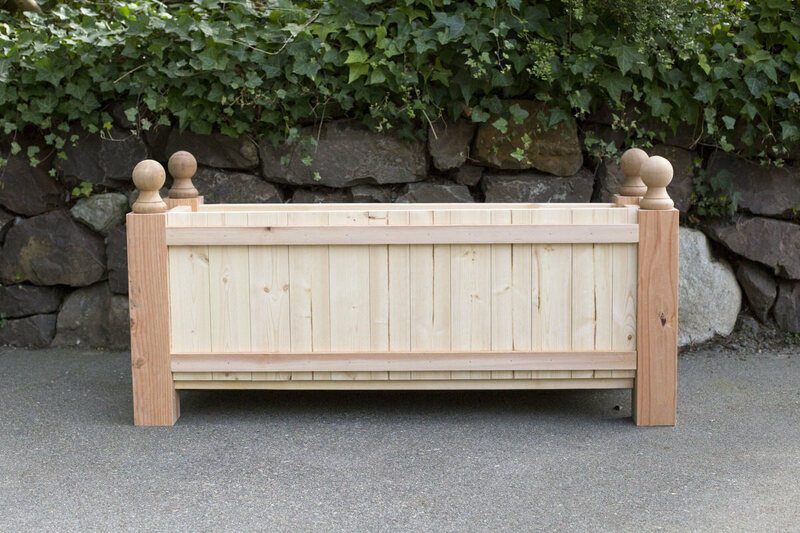 But regardless of what lumber you go with, this flower box will be stunning. I love living in the Pacific Northwest because of all the green everywhere, all the time. And possibly more than I love seeing the green outside, I love bringing it inside my home. I think pretty little planters on shelves and window sills—or in this case hanging from the ceiling—are the perfect way to combat those winter blues. Talk about bringing nature inside! 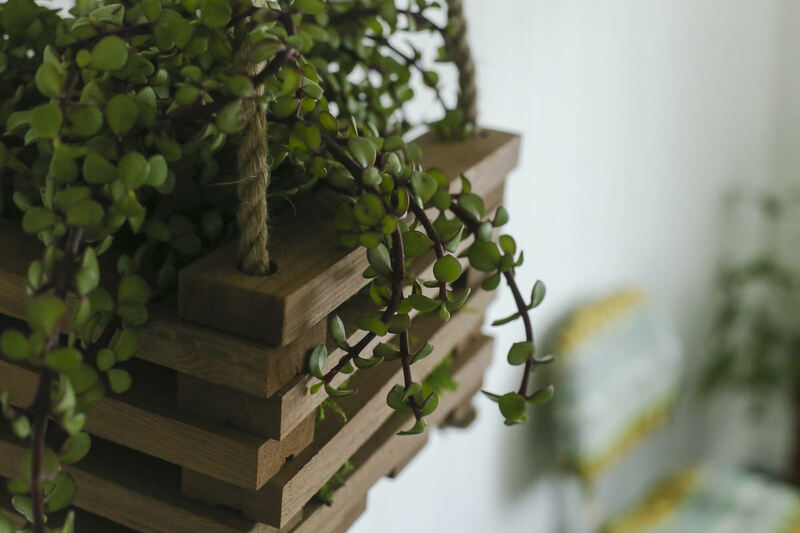 Their wooden hanging planters are simply charming and made me want one of my own. 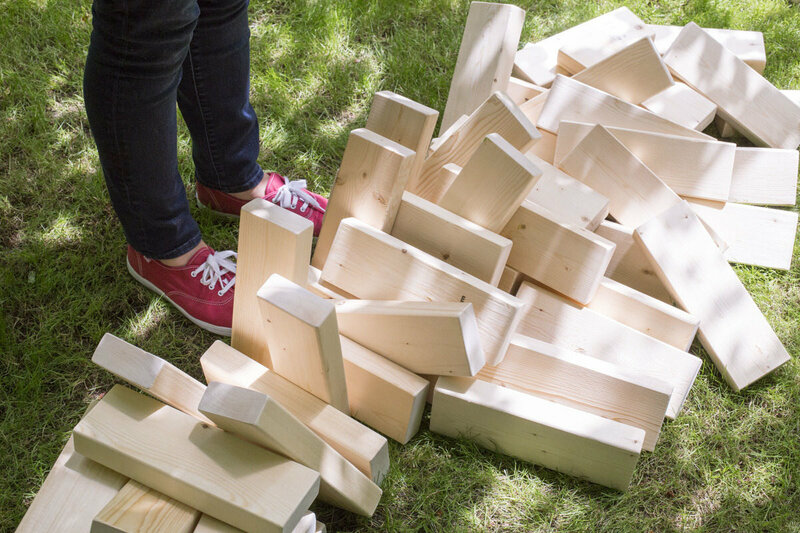 Remember the thrill of a tumbling tower of Jenga blocks? Imagine that, only 10 times bigger. That's lawn Jenga! This flower box is cheap, simple, and accessible! And oh-so cute. There are some simple strategies to give your old deck new life. 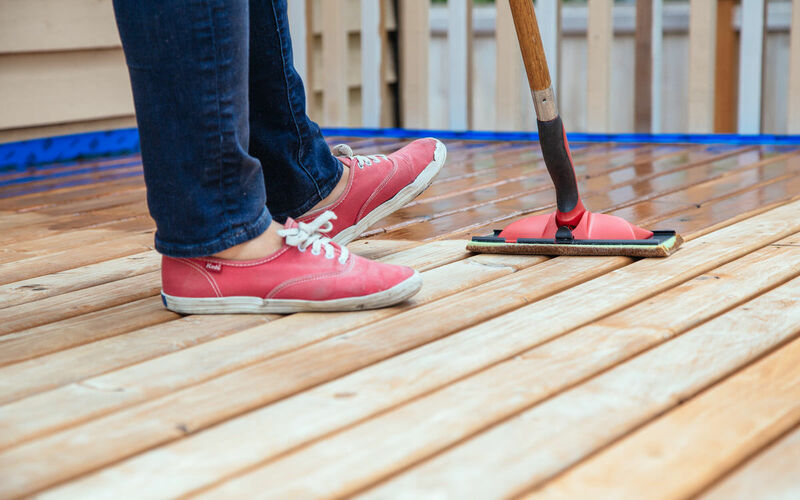 This step-by-step guide to deck refinishing is the perfect companion for a weekend DIY project. 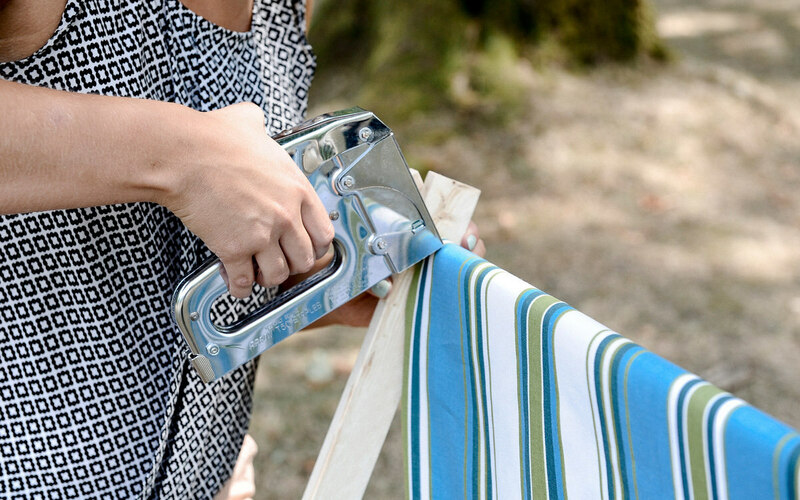 Strip, clean, brighten, and stain your way to outdoor entertaining dreams! There's not always space for a backyard bonfire, so we came up with a mini fire pit that's small enough to fit on a little patio table, but still provides enough heat to roast marshmallows and add a little light to your evening! 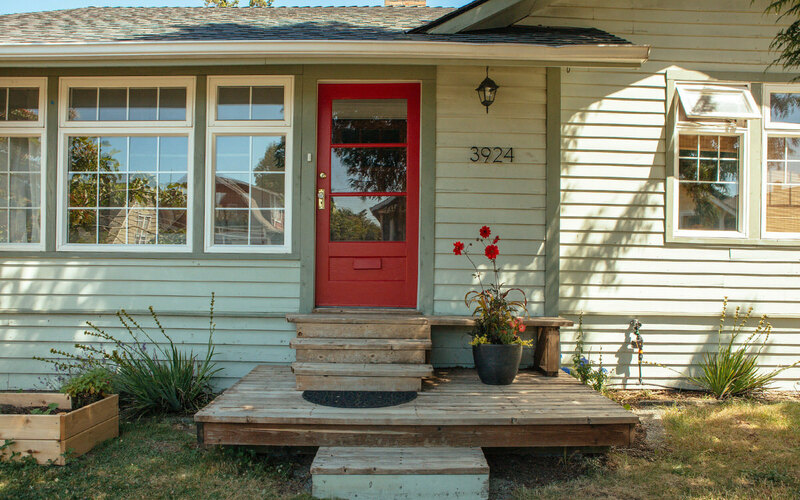 Painting your front door is a great way to instantly increase your home's curb appeal. We partnered with Daly's Paint and Decorating Wood Finishes, a Seattle-based, family-owned paint company, to bring you a step-by-step guide that will up the wow factor of your home's first impression. We are always on the lookout for storage solutions to help declutter and simplify everyday life. 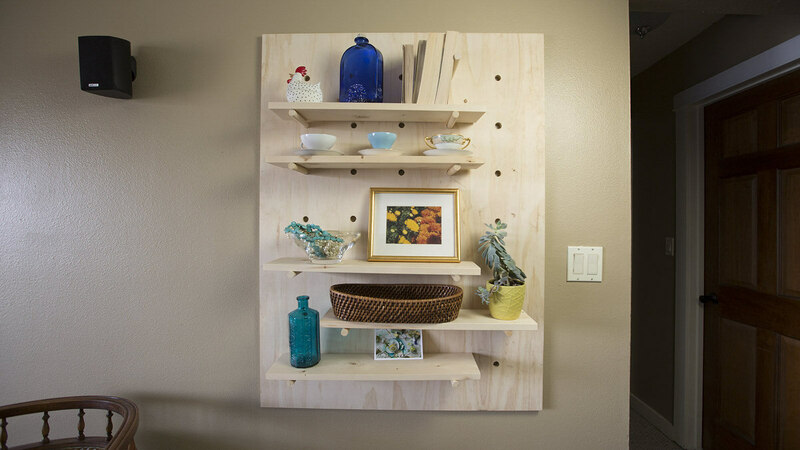 This DIY pegboard storage system is not only stylish, it's simple. 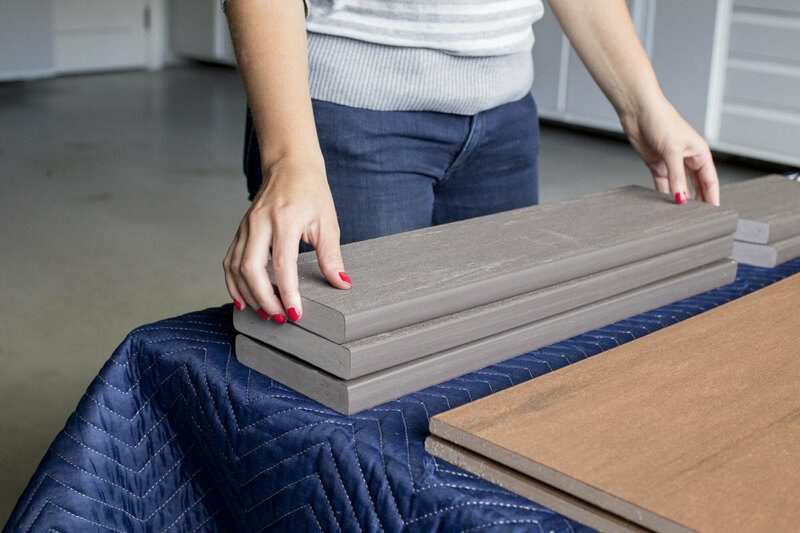 With the right tools and materials, you can create your own pegboard for bathroom, kitchen, or closet storage. The stand my dad and I came up with was designed to be beautiful, but simple enough that kid participation—depending on age or skill level—would be possible. For the sake of simplicity, we went with a natural look. Because of this, we chose to use green cedar, which holds up well under the Pacific Northwest weather. 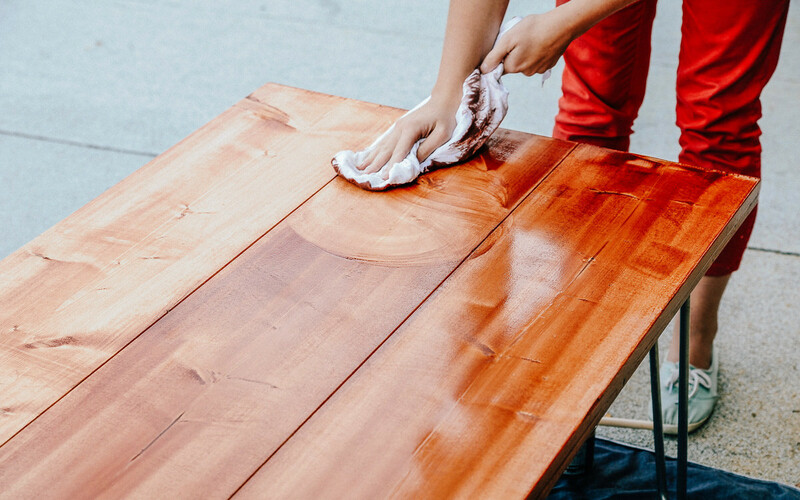 If a coat of paint is desired, you’ll want to pick a kiln-dried wood, otherwise the paint won't dry well. 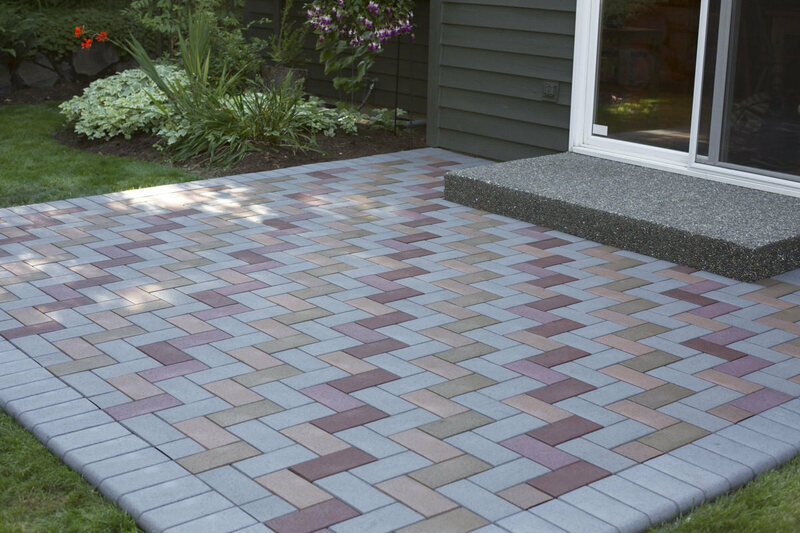 AZEK pavers are made in the USA from 95% post-consumer recycled content. For example, a 500-square-foot patio is created from 250 truck tires and 7,500 gallon-sized plastic containers. 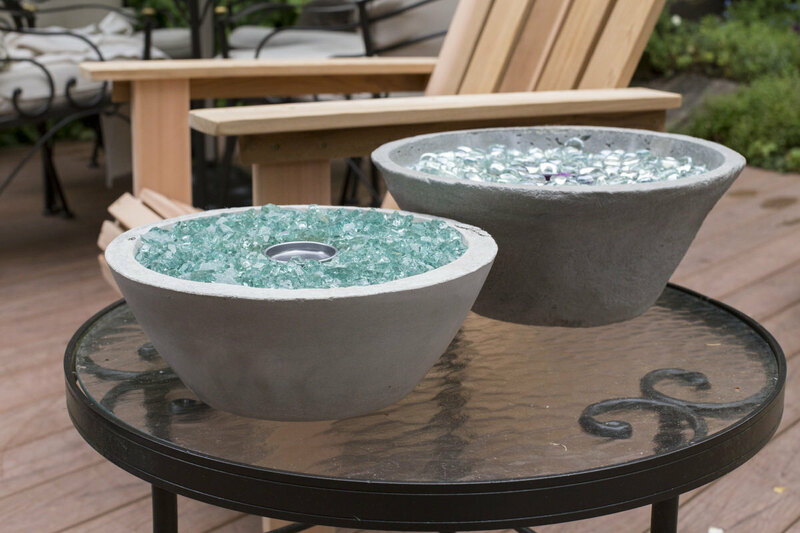 We partnered with AZEK to create a classy patio update, just in time for spring. This A-frame tent is not only simple, it's versatile! 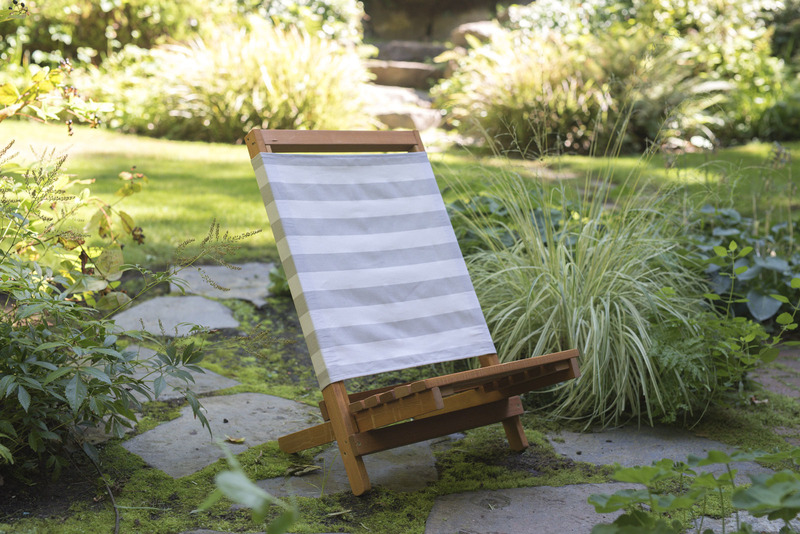 Kids will love to crawl in and out, have their own picnics, and read by flashlight—but you can also cover the frame with some polyethylene sheeting to create a greenhouse for plants like basil or cherry tomatoes. 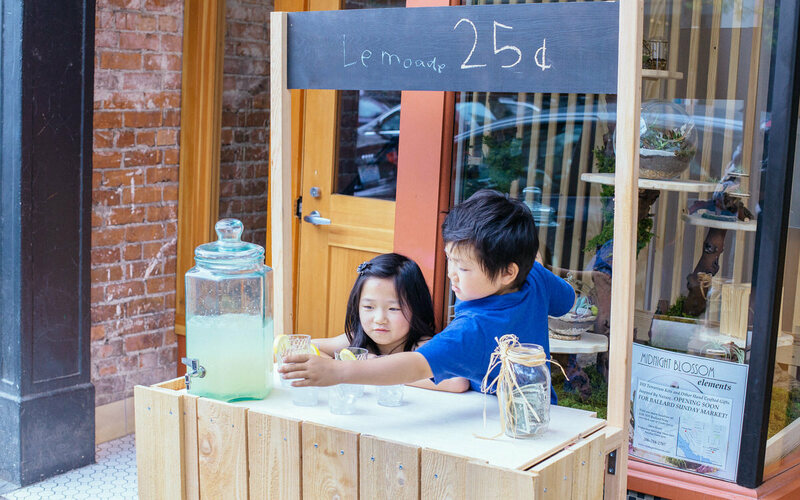 In honor of Earth Day we partnered with Seattle Goodwill for a green project! 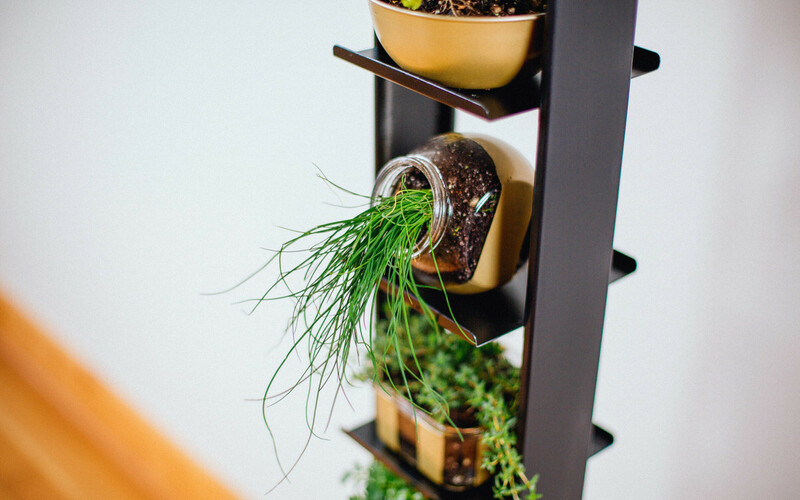 I love this project—it’s a fun, unique way to upcycle some out-of-use pieces, and it’s a great way to cut costs and improve the quality of your food by growing your own herbs! Get ready to enjoy summer with this fun lawn game! 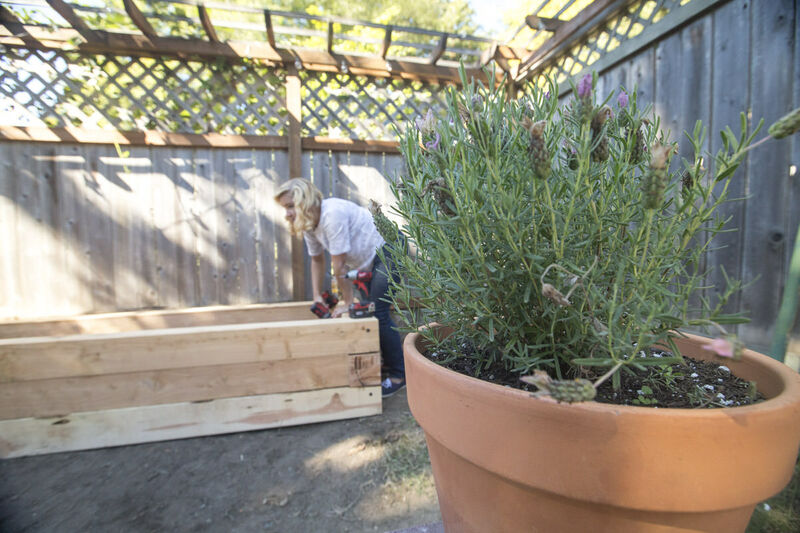 Planter beds might look complex, but they’re an easy weekend project that can improve the look of your yard and provide good drainage for your plants. Not to mention, there is nothing quite as satisfying as growing your own garden. 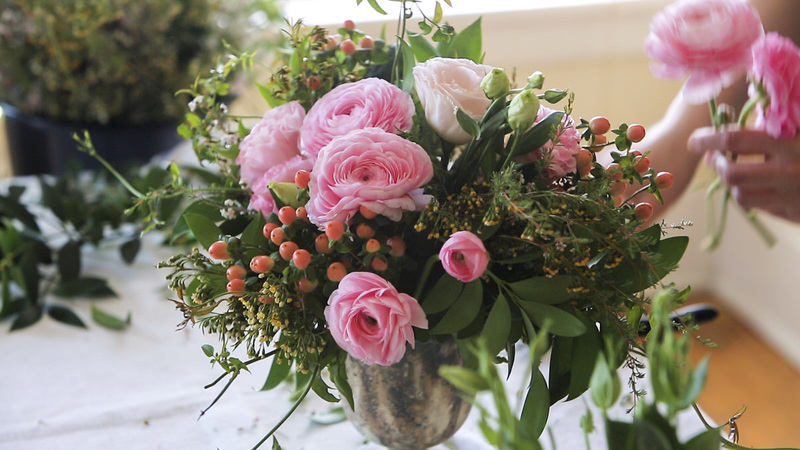 Spring is here, and we love arranging flowers! 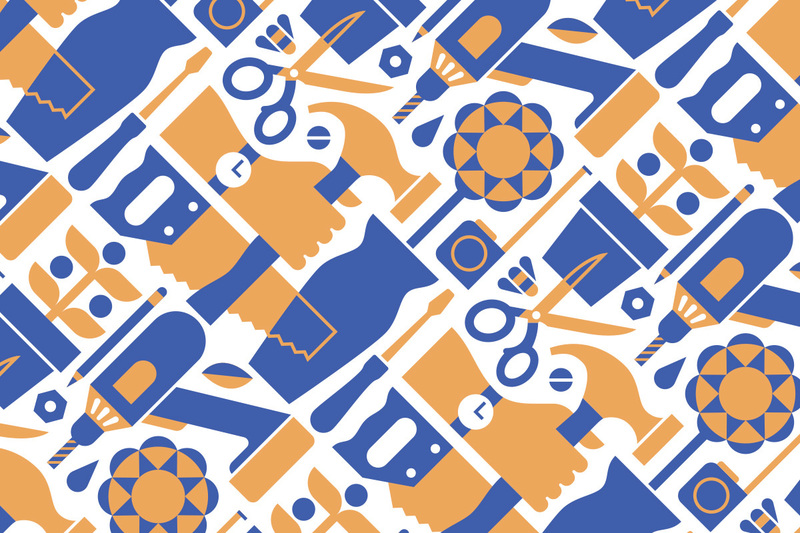 There are plenty of power drills you can buy, so we're simplifying the decision-making process with some advice and a few tips.